12V 50W Mean Well Power Supply. Fixed DC voltage chassis mounted power supplies. Suitable for many applications including CCTV, Alarm Panels, Instrumentation and LED lighting. 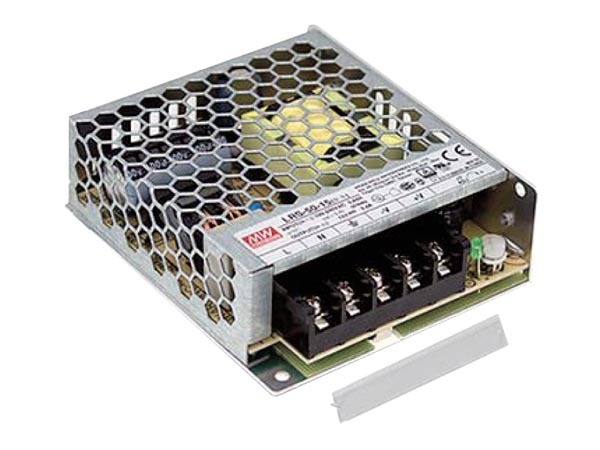 These power supplies must be used incorporated in to a protective enclosure or box which has adequate ventilation. They are fully short circuit and overload protected. Power supply output can be adjustment ± 10% rated output voltage.